MFRW is Marketing for Romance Writers, a peer-oriented mentoring group open to the entire literary community. Ask marketing-related questions, request help, advice, and opinions. You can ask for opportunities to join other authors in promotional efforts. You can learn the business aspects of writing. What's it cost? Nada, zip, zilch, zero -- just come join up and share. Marketing for Romance Writers promotes for its members on most social media. Get your book cover pinned on one of the MFRW Pinterest boards, and share your tweets on MFRW's monthly Retweet Day. The hashtags #MFRWorg #MFRWauthor and #MFRWhooks help you promote. If you have questions about marketing your books, join us. The MFRW motto is "seek, teach, share, learn, succeed." MFRW was founded in 2006 by Kayelle Allen, who heads the group to this day, guiding its direction and overseeing the numerous volunteer staff members that help it run. The group began with a dozen friends, and today boasts over 2400 members, and over 7000 members make up our Facebook group. We have a multiple award-winning magazine. 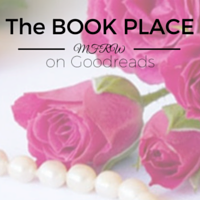 We have over 400 followers on Goodreads and feature our members books there in the MFRW Book Place group. On Pinterest, we are followed by over 1500 people, have 55 genre related boards, and almost 1000 pins. Want your book cover pinned on our site? Even if you don't have a Pinterest account, you can take advantage of our presence there. Join our Yahoo group today and you'll get information. Services and membership are free. Share our badge on your blog! Header and badges by The Author's Secret. Simple theme. Powered by Blogger.